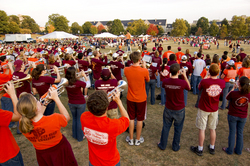 The Marching Virginians perform at the VT-Engage kickoff event on October 16, 2007. 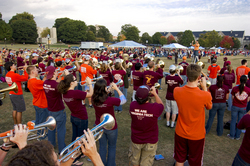 Members of the Marching Virginians perform at the VT-Engage kickoff event, October 16, 2007. 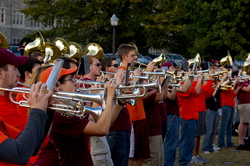 The Marching Virginians perform during the VT-Engage kickoff event, October 16, 2007. 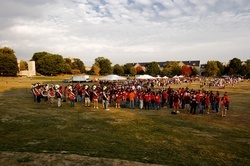 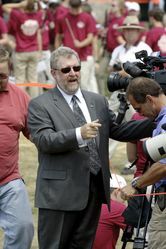 View of the drillfield, with the Marching Virginians in the foreground, at the VT-Engage kickoff event, October 16, 2007.